This small one is going to be bilingual – trilingual? – I know. 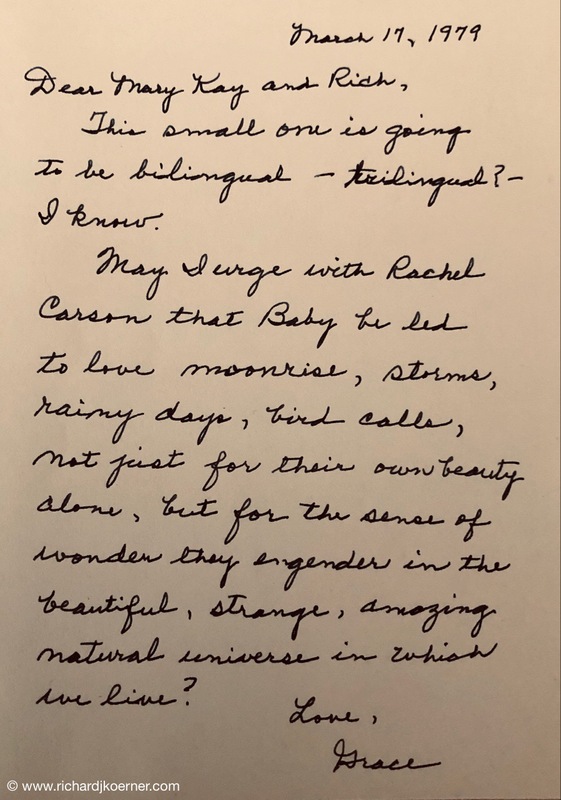 May I urge with Rachel Carson that Baby be led to love moonrise, storms, rainy days, bird calls, not just for their own beauty alone, but for that sense of wonder they engender in the beautiful, strange, amazing natural universe in which we live? Some people are unforgettable. Grace Karl was one of those people. I knew her as a friend and colleague. 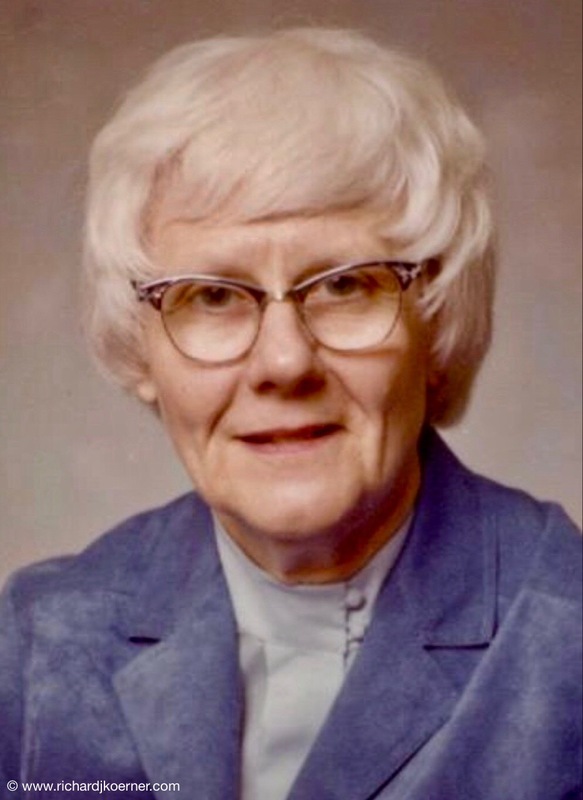 Mary Kay knew her as a teacher and friend. Grace Karl is one of those special New Trier teachers and librarians. She is one who almost refused to retire. She is the one reputed to have said that she was a virgin and proud of it. She is one of the most wonderful proponents of books and reading that I have ever met. 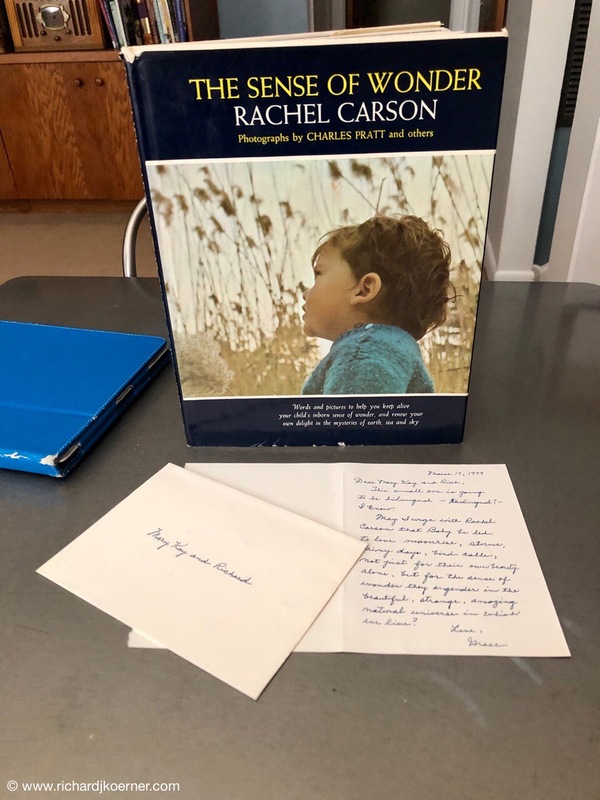 Grace Karl gave us the Rachel Carson Book, ‘The Sense of Wonder,’ when our oldest son was born. She provided us with a lovely note that has withstood the test of time and that we cherish. Sometimes, when I think that perhaps I might have chosen other paths for our boys, I think of that ‘sense of wonder’ that we worked so hard to provide and realize that perhaps that is what gave them the ideas for their lives. After all, a person’s life should be in his or her hands. Grace Karl was a legend. MK tells the story of being in English class at New Trier West and being told that she and all of her classmates would have to call their parents and stay after school. After school with all kids present, she proceeded to lock them in a library room and said, you aren’t leaving until your assignment is written correctly. Yes, she pulled that off in the 60s. Strangely enough, MK has no negative memories of the situation. Grace wanted these kids to achieve, she wanted them to be the best they could be. Given the time period, she got away with something that today would create a great scandal. Grace visited Mary Kay when she was at college in Urbana-Champaign at the University of Illinois. She even stayed in the dorm and took her out to dinner. She was a lifelong friend. I had the utmost privilege to be able to be her colleague as we were both on New Trier’s Winnetka campus. She was a hoot to the very end and a very unforgettable person. This entry was posted in Legacies, Life in general, New Trier High School, Reading, Thoughts and philosophy. Bookmark the permalink.